With over 30 years of doing real estate in Garfield County and surrounding areas, Cheryl Chandler has a proven track record of providing excellent service to a broad range of clients, with expertise, integrity, and passion. She started Cheryl&Co. Real Estate in 2007, after a very successful career with RE/MAX and winning numerous awards for her outstanding real estate acumen, most notably, being recognized by her peers as Glenwood Springs Association of REALTORS “REALTOR of the Year” in 2010. 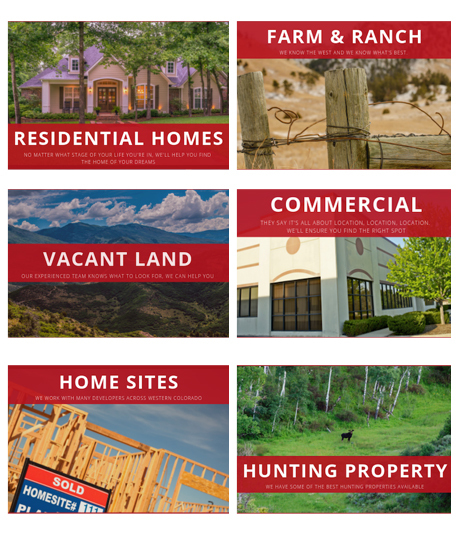 She has surrounded herself with amazingly hardworking and knowledgeable team of real estate agents who have a variety of specialties: ranch and farm land, commercial property, hunting properties, residential properties and vacant land. Cheryl&Co has an excellent property management division serving renters and property owners. Cheryl&Co's HOA division is growing and is pleased to be providing professional Community Association Management services to a variety of HOAs in the area. I just wanted to call and let you know how pleased I am with the marketing efforts you are doing for my commercial lot in Silt, with the large sign plus promoting the QOZ zone. We used Jeff Zimmerman with Cheryl&Co for 2 purchases and 1 sale, we could not be happier with the great service and attention to detail that Jeff gave us. We would recommend him for any type of listing or purchase you may be interested in. Thanks for taking great care of us!!!!! I had a parcel of vacant land that I was trying to sell for several years, I got in contact with Jeff Zimmerman and decided to list it with him. He had several showings in a short period of time and got it sold for me. Very happy with Jeff and his team and recommend him highly. We just bought our first home this month. Shannon was there to help us every step of the way. Always available and taking the time to answer any and all questions. We would highly recommend her and will use her again. Cheryl, One last time Christy and I want to Thank you for your all your great assistance and professionalism. You were supportive in every way possible through this sometimes frustrating experience and we appreciate it very much. We will continue to recommend you to anyone that is looking to purchase real estate in and around Garfield County as you are the best. Monique was the only property mgr in Rifle that was able to find me a suitable place that would accept my moose of a dog Hershey Kisses. I had regular inspections and they took care of all repairs expeditiously. I got to know Monique & Gail quite well and consider them friends. They went to bat for me several times when the HOA wanted to fine me. I would recommend them to anyone looking to rent or manage their property. Dennie did a great job helping us find a new home! She worked within our set budget and really paid attention to what we were looking for. 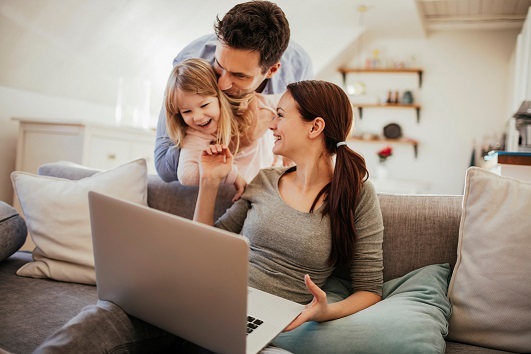 The house we chose to buy was a tough one because of some liens on the property, but she worked closely with the listing agent and title company to make sure we got the house. Plus she's a fun person and very pleasant to deal with! I decided it was time to make an investment. I had a burning desire to own my own home for the last 2 years. I decided that regardless of my extremely busy schedule I needed to find that place to invest in. Dennie Talbott was incredible in every way imaginable. She worked with me and for me every step of the way. When I was too swamped to even think about the buying process she stepped in to do extra and keep the ball rolling for me. She did an incredible job finding the home that I not only wanted but needed. She knew how to match a floor plan with my picky preferences. That's the thing about her; she gets to know YOU in order to match you up with that perfect house. She knows how to meet your needs! She's very personable and knowledgeable. I will be needing Dennie Talbott when it comes time to buy my next home! I will also be recommending her to all my friends looking to purchase a home. Thanks again so much Dennie! "Lindsay is great, from start to finish she handled everything for me. Her proactive approach and insight kept the entire process moving forward swiftly yet painlessly. A true professional I highly recommend Lindsay to anyone looking for a new home." A HUGE thank you to Monique Speakman (Cheryl & Co)!! Monique, went above and beyond when I relocated to CO and could not find a place to live. Monique, found me a beautiful, clean place and the location was great. Monique took away a lot of my stress in the relocation process with her friendly and kind personality. I would highly recommend Monique for all your Real Estate needs.